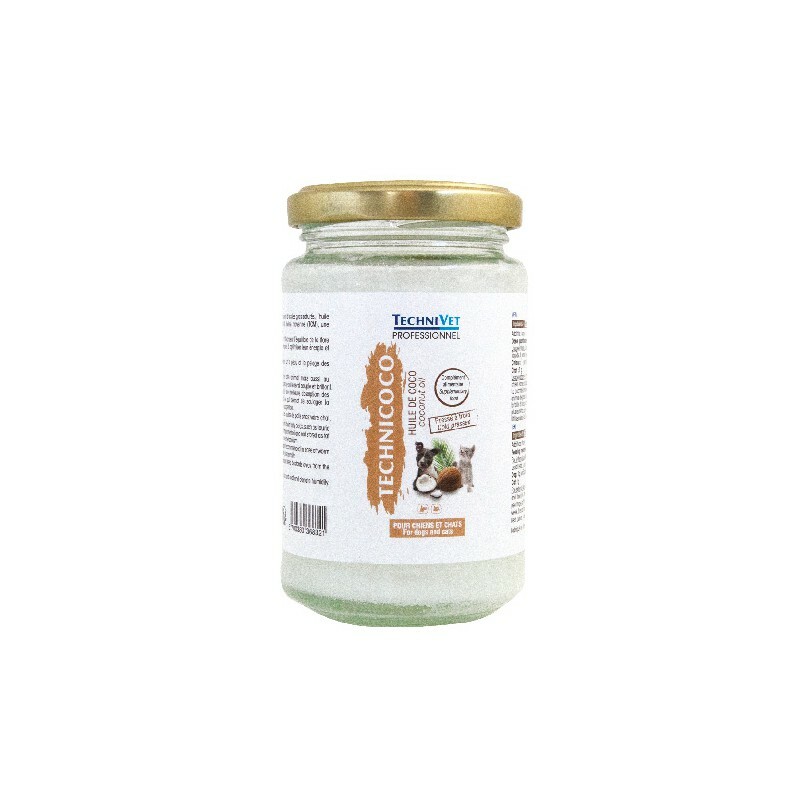 Consisting mainly of saturated fatty acids, coconut oil also contains many medium chain triglycerides (MCTs), an excellent source of energy metabolized by the liver. 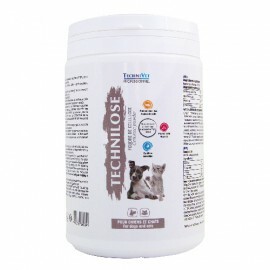 For dogs, MCTs regulate insulin levels and promote the balance of thyroid flora, which can help sedentary animals optimize their energy and lose weight. 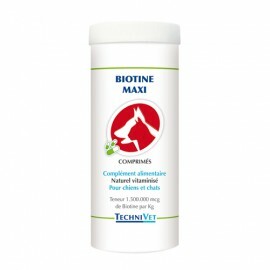 Added to the daily intake of your pet's food but also to the shampoo, it provides a good hydration of the coat which makes it supple and shiny. The antioxidant properties of the oil contribute to a better absorption of minerals by your pet's digestive system, which helps to relieve constipation and irritation of the colon and facilitates digestion. 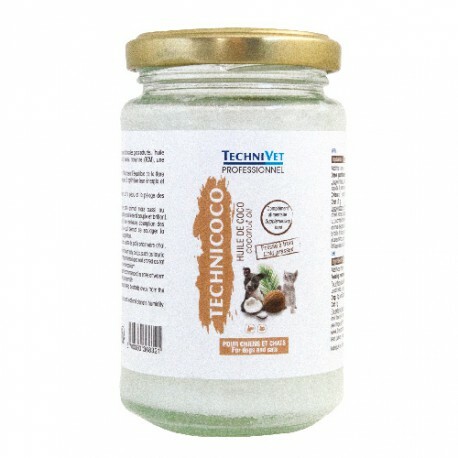 Coconut oil can also be used to reduce hairballs for your cat. Coconut oil also has many benefits on the skin and coat of animals. 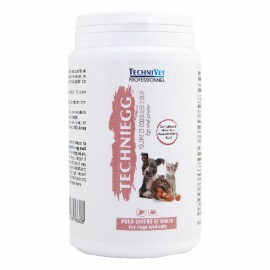 External use: TechniVet coconut oil penetrates quickly into your dog's skin. Pour a small amount into the palm of your hand and massage the animal. The amount of oil to apply depends on the size and weight of your animal: for a lightweight animal (cat or small dog), pour a quantity of coconut oil equal to the size of a plum; for a heavier animal, the same amount should be applied several times a week. Your pet's coat must be well wet.